HTC launches newly fabulous Smartphone for its valued customers of Pakistan. This is a phenomenal Smartphone has introduced by HTC brand with astonishing feature. It provides exceptional incentives in this launched hand-set of its buyers in affordable rates. It gives Android OS Lollipop system with speedy Quad-Core processor for using. It provides dual sim option along with nano-sim option you can easily avail three sim on a single time by using this hand-set. In this present scenario mostly cellular operators really want high quality camera in Smartphone’s. HTC recognizes customer’s wishes and now it is providing 20.7 mega pixels rear and 4.0 front mega pixels front camera facility in this hand-set. This is truly an exceptional now you can avail high quality mega pixel camera after buying this product. It also provides 3G and 4G options for using fastest internet service. 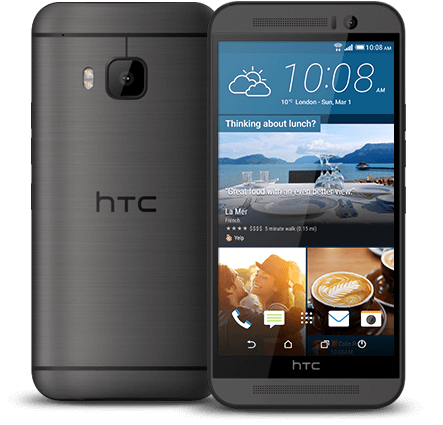 All regular incentives of Smartphone’s are available in this hand-set and now you can easily avail countless features after buying this single mobile phone of HTC. The complete details of this hand-set are given as below for our readers. System: Android OS, v5.0.1 Lollipop. Processor: Quad-Core Cortex A-53 1.5 GHz, Quad-Core Cortex A-57 2.0 GHz. Rear Camera: 20.7 mega pixels (Auto-focus). Front Camera: 4.0 mega pixels (HDR). Bluetooth, Stereo FM radio, Micro-USB v.20, GPRS, EDGE, Wi-Fi, WLAN, Wi-Fi Hotspot. Audio: 3.55mm audio jack, Mp3, Mp4, Google Drive (100 GB cloud storage), WAV. Messages: SMS, MMS, E-mails, Push E-mail. Ringtones: Downloadable, WAV, Mp3, Polyphonic tones. Other Features: HTC Sense UI 7.0, Micro SD support up to 32GB, Multi-touch, SNS integration, face-detection camera. Latest Features: Qualcomm MSM8994 Snapdragon 810, Google Drive, 100 GB cloud storage, Automatic simultaneous video and image recording, Nano-sim. Available Colors: Gray, Silver, Rose Gold, Gold/Pink.